Lovely rich skin tones - excellent work! I also like The Young Ones reference:). Where’s SPG? Haha! I should have converted a squig or something for SPG. (Though squigs weren't around when I did the conversions.) I should have taken a pic of them before stripping everything away. Characterful sculpts and great paint job. I found they had really fragile ankles, I had one break while pinning the other broken one! Great work! My favorite Trolls. What did you use for bases? I buy large sheets of polysytyrene and big rolls of sticky-backed magnetic sheet. I attache the magnet to the sheet, then cut the bases as I need them. Awesome job on those Trolls, I can remember them from the Marauder catalogue in the early 90s. They fit well with the newer minis as well. 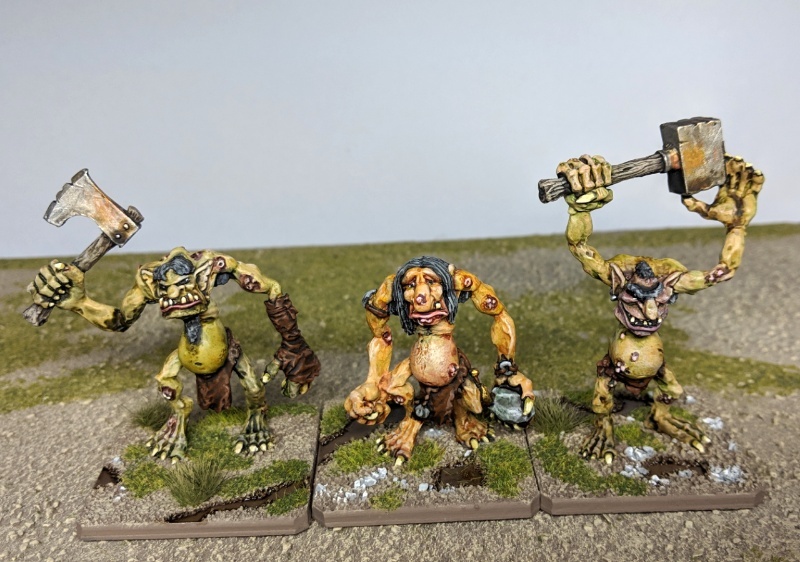 Quite lovely Marauder trolls. Cant wait to get my own Drew's bog trolls painted. Thanks for the comments everyone. 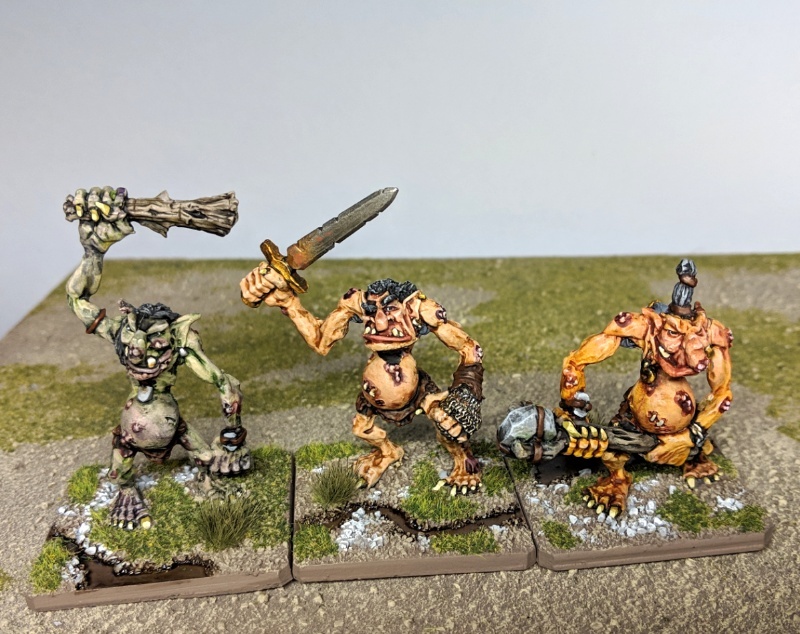 I really enjoyed painting these trolls and was really excited to have the full set again. Like I said, I have the most recent set of Drew bog trolls, and a couple from Artizan to paint up soon. I'm enjoying the trolls so much, I'm looking for more in a similar style.